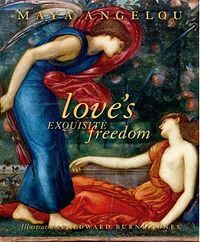 Burne-Jones's greatest artistic partnership arguably one of the most fruitful in the history of art was with his friend William Morris. Together they created paintings, furniture, stained glass and tapestries; above all, at the end of Morris's life, they worked together on books for Morris's Kelmscott Press. Morris had immersed himself from his youth in the art of the book and the manuscript, and the productions he oversaw at Kelmscott remain to this day the benchmark. 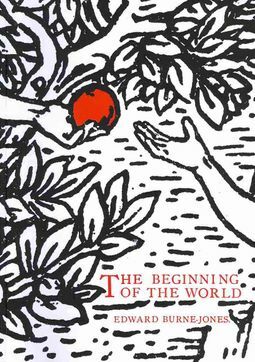 The Beginning of the World is a series of designs to illustrate the first chapters of Genesis, and were intended to have been part of a Kelmscott Bible. They were left unpublished at Burne-Jones's death and were prepared for printing by his widow Georgiana and assistant Catterson Smith. Burne-Jones's peerless sense of design is seen at its purest in these beautiful woodcuts; and the intensely careful balance of illustration and text makes this an epitome of the Kelmscott style. Nobody interested in the Pre-Raphaelites or in the art of illustration will fail to enjoy this beautiful book. 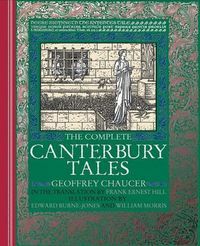 This is an exact facsimile of the edition of 1902, and includes the introduction by Georgiana Burne-Jones.